I haven’t posted in awhile again because life took over. Over the last few weeks I’ve been prepping for the hubby’s and my trip to Italy. I’ve done very little crafty stuff other than the bit of knitting and cross stitching I’ve posted about on Instagram. It’s amazing how it takes so much of me to get going on even a little bit of quilting. Anyway, I don’t have a lot of time as I haven’t had a lot of sleep the last 24-48 hours but I wanted to start recapping the days before the memories are lost in a blur of travel. We left Los Angeles early Sunday (5/6) morning. Our friend, gave us a ride at 3am to make sure we were able to check in and go through security check for an international flight leaving at 7am. 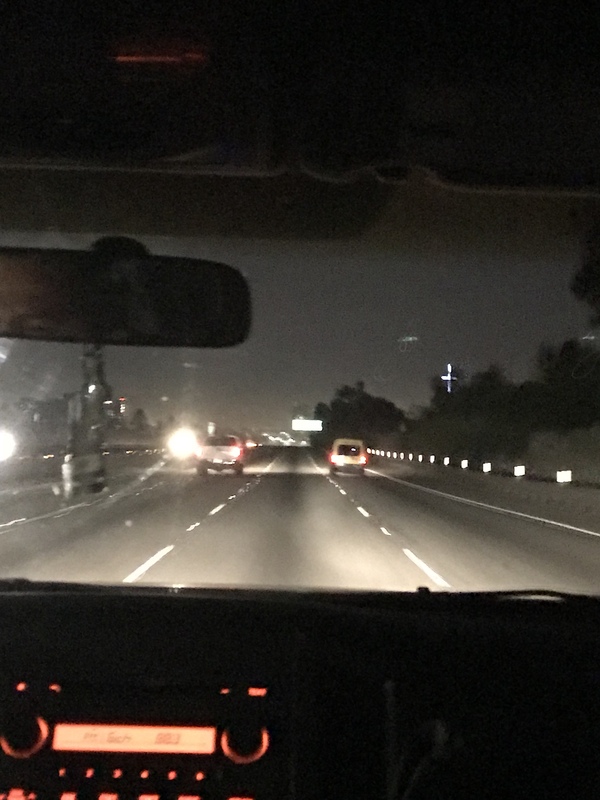 LA freeway at 3am on a Sunday. There are always cars on the road. Checked in some bags and headed off. 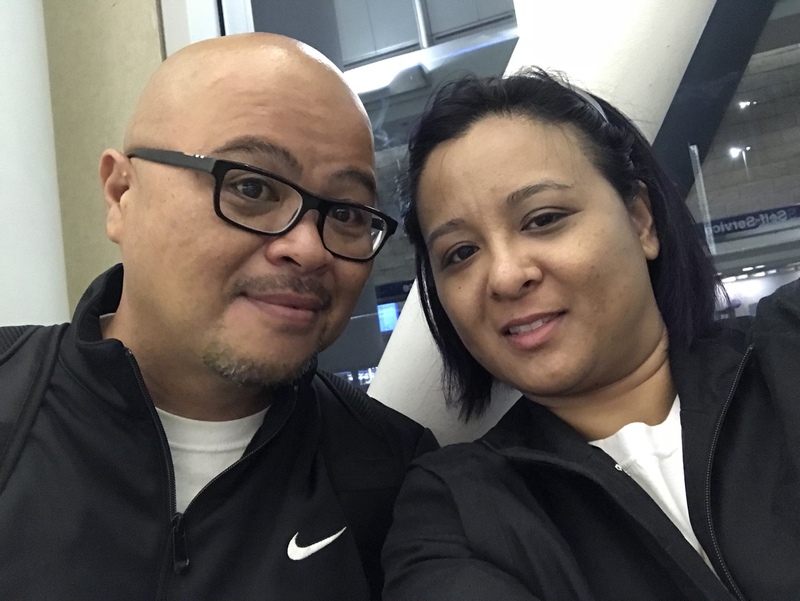 I was very nervous as I haven’t been on an international flight in years and never with the hubby. 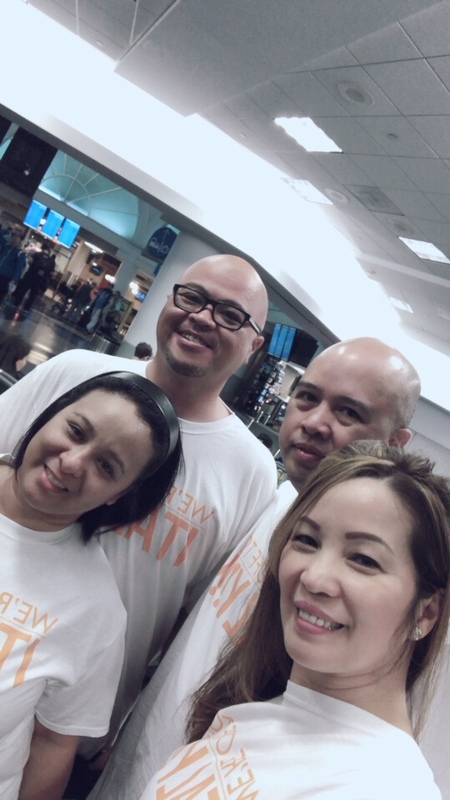 Our friends made us shirst that said “We’re off to Italy” so we took a group picture at LAX before starting our trip. We were on an American Airlines flight with a layover at JFK before arriving at our final destination of Milan, Italy. The first flight from LAX to JFK was the most uncomfortable ride ever. We had booked our flights on Expedia and we never selected our seats. We didn’t know that we had to go on the Airlines website to select a seat. As a result, the hubby and I didn’t sit next to each other. Instead I sat between two men. Luckily, they were both very considerate and we all did our best to not get in each other’s ways. It’s just a small space and I could not find a spot to get comfortable. We landed at JFK for a 3 hour layover. 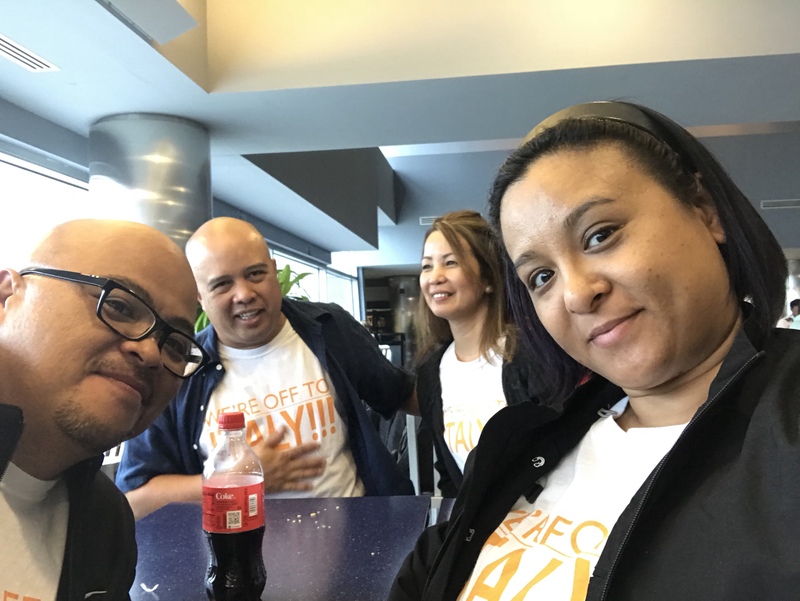 It was just enough time to grab lunch, relax a bit, stretch our legs and take a quick nap before boarding for the next flight. The second flight was much better. Even though we didn’t select these seats either, the hubby and I got lucky. We both had aisle seats and we were across from each other. I thought the food was good and it was a fine ride. I kept getting up to stretch my legs for the 8 hour flight to Milan. And here we are at Milan’s airport. 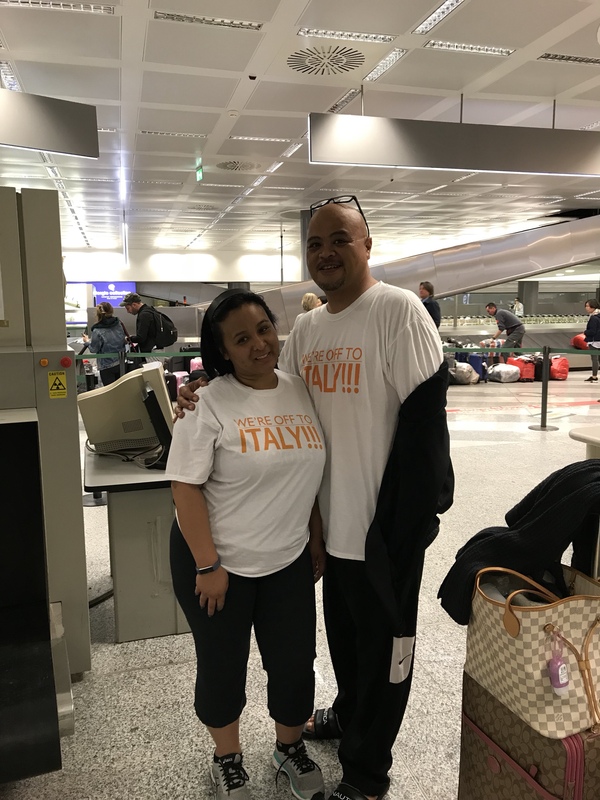 We landed at Milan Monday, 5/7, at 8am. The most difficult part was getting out of customs and out on the streets. It was only difficult as there were only 2-3 attendants processing us and there were at least 2 flights full of people waiting to get through. But once we saw a customs person, all they did was check our passports, stamp them, and wave us through. We were a bit uncertain as to how to get to our hotel at this point. But we all wanted to be adventurous and not spend money on a taxi. Information at the airport told us what bus to take, we jumped on it, and made it to Central Station. There we bought tickets for the subway/bus system and jumped on the yellow line (M3) and got to the stop nearest our hotel. Even though our check in time was not until 2pm, they very nicely let us check in early at noon. Where we all freshened up and took a long nap. … stay tuned for tomorrow on Milan – day one! So glad you made it there without too much discomfort! Enjoy your trip!